2013 | Why are traffic flow and capacity issues the only reasons for transforming an existing highways? Atelier Rijksbouwmeester commissioned West 8 and Michel Heesen with a research on how to improve the problematic clash of highways and cities. 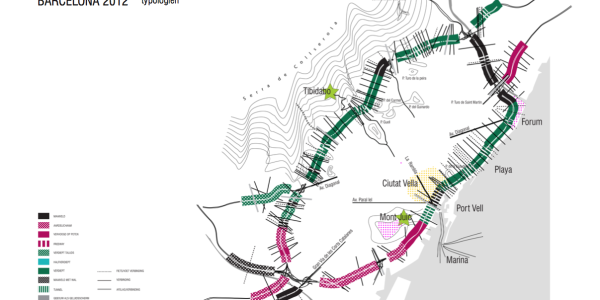 In their research ‘Naar een gezonde relatie tussen stad en snelweg’ (Towards a healthy relation between city and highway), West 8 and Michel Heesen made an overview of highway typologies. Where to find what typology? How to transform these into a typology that offers more opportunities for spatial quality? The research compares foreign examples, such as the gradual transformation of the ring road of Barcelona, with the ring roads of Amsterdam, Rotterdam and Utrecht and shows opportunities for improvement.